Who can beat Phil Heath at the 2017 Mr Olympia? On September 14th 2017, in Las Vegas Nevada the 53rd Mr Universe contest will be held. Run by the International Federation of Bodybuilding & Fitness (IFBB) the Mr Universe is the crown jewel of bodybuilding and has been one by the biggest stars in bodybuilding history. The winners of the past reads like a who’s who of bodybuilding: Arnold Schwarzenegger, Franco Columbu, Frank Zane, Lee Haney, Dorian Yates, Ronnie Coleman, Jay Cutler, Dexter Jackson, and Phil Heath (to name a few). But there have been many huge names in bodybuilding who never managed to win this prestigious tournament: Serge Nubret, Tom Platz, Lou Ferrigno, Flex Wheeler, and Rich Gaspari. The tournament is famously loyal to incumbent champions, making it very difficult for new challengers to break through. Just look at some of the runs put together by champions of the past. 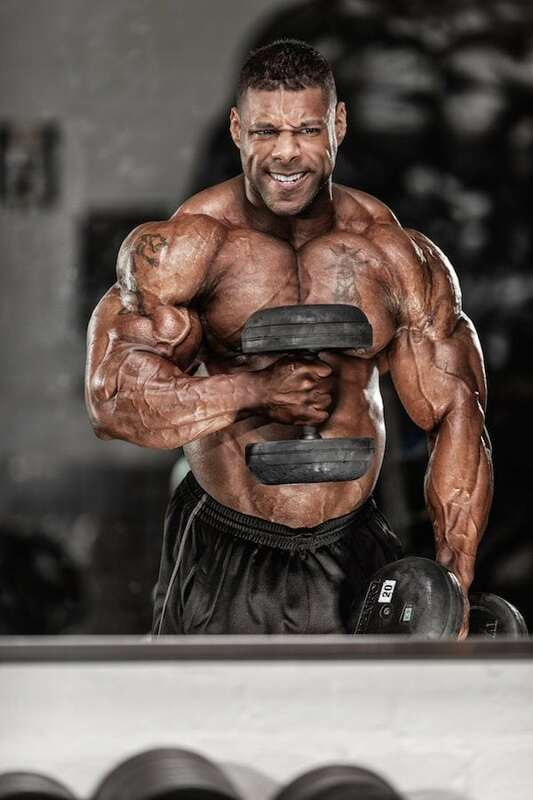 Arnold Schwarzenegger won six titles in a row, Lee Haney won eight in a row, Dorian Yates won six in a row, Ronnie Coleman won eight in a row, and Phil Heath is currently on six consecutive victories. In this article we will take a look at the top six contenders for the Mr Olympia title, we’ll look at the current champion, four of his toughest competitors, and one wildcard option. Then we will tell you who – in our opinion is the most likely winner of the 2017 Mr Universe. Philip Heath was born in Seattle Washington in 1979. He received a basketball scholarship to Denver University where he achieved a double-major in IT and Business. He became a bodybuilder in 2002 at the age of 22 and won his first title just one year later in ’03. He won his pro card in 2005 and won his first pro event in 2006. He first qualified for Mr Olympia in 2007 but decided against jumping in to the competition too early as he felt he wasn’t ready. Instead he competed in Mr Olympia for the first time the next year, he was the first novice lifter to ever attain a top three spot, coming behind Dexter Jackson and Jay Cutler. The next year he placed 5th, due in part to a stomach virus that hit him just a few days before the competition left him much lighter than he had planned. In 2010 he again came second, this time to Jay Cutler but in 2011 he won his first of six consecutive titles. Once Phil took that title he never looked back. Due to how the tournament is judged the current winner always has an advantage over the rest of the field, which is why so many bodybuilders went on long runs of victories. So this competition is Phil’s to lose. But even if Phil was brand new to the competition he would probably be the pre-competition favourite. Nobody else is in as good condition as he is, he’s both large and has good definition, his symmetry is second to none, and his posing is fantastic. If he has an off day, or if he gets injured or ill pre-competition then others may be able to beat him (and we will be looking at these competitors soon), but at present Phil Heath has a very high chance of winning. It doesn’t look like Kai Greene is going to be attending this year’s event and this is a huge shame. There is a clear rivalry between both Kai and Phil which has been quite good for the sport. 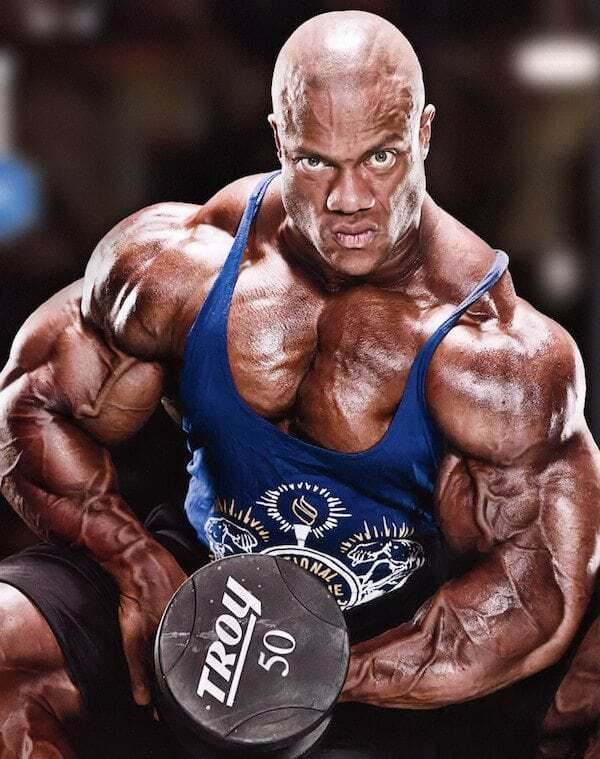 On his day Kai could push Phil harder than almost any other bodybuilder, and the fact that he won’t be there is a blow. There are many theories as to why Kai has skipped (boycotted?) the last two Mr Olympias, with some speculating that it is due to legal issues, but many feel that it is because Kai believes that he cannot ever beat Phil. Potentially due to Phil being better, or perhaps because Kai believes that the judges would prefer Phil to win – making the competition impossible for him. Whatever reason though, Kai almost certainly won’t be in Las Vegas in September and the three time runner ups absence is a real shame. The biggest competitive bodybuilder of all time, “Big Ramy” came 4th in last year’s competition, and will be looking to go further this year. What makes Ramy so exciting a prospect is his massive size. He weighed 143kg in the 2015 Mr Olympia which is a record, this is an increase in weight of 52kg since 2010 – an incredible number. What Ramy needs to work on would be his lats, his calves, and his forearms, if he can bring these three areas up then he really can push Phil Heath all the way. But with calves being the biggest challenge, he may struggle to do this. If the judges are blown away by his size (something that hasn’t really happened in the last two competitions) then he will definitely have a chance. But how much bigger can he get? He must be reaching the limit of his size now. 2017 may be a competition too soon for Ramy but over the next five years or so he really could be the next big thing in bodybuilding. Born in Kingston Jamaica, but raised in Maryland, Shawn Rhoden has been bodybuilding since 1992 which should have made him one of the most experienced bodybuilders on the circuit. But tragically his father passed away in 2003 and the next six years were spent battling alcohol addiction. Finally in 2009 he managed to drop the drink and pick up the barbell, and he’s been competing ever since. He placed 14th in the 2011 Mr Olympia, then came 3rd in 2012, 4th in 2013, then third in 2014 and ’15. He came 2nd last year, and though age is beginning to catch up with him (he’s 42 at the time of writing) this could be the year that he finally breaks Phil’s hold on the title. Roden comes across as a really nice and humble guy, who could really improve the public’s perception of bodybuilding if he were to win, but to do so he really will have to get his preparation perfect. He’ll need to build his back a bit more if he wants to catch Phil, and try to get some more size. He’s just a little too small though aesthetically he’s potentially the best out there. Dexter Jackson was born in Jacksonville Florida in 1969 and at 47 is the oldest competitor on this list by quite some margin. He’s ten years older than Phil and surely with each year that passes his chances of beating him lessen. But with age comes experience and Dexter has that in spades. He’s only missed one Mr Olympia since 1999, and hasn’t placed outside the top 6 since 2002 (not counting 2005 which he missed). He’s won more IFBB titles than anyone in history, and has more Arnold Classic victories (5) than anyone else either. Dexter is one of the smaller bodybuilders out there, but probably the most aesthetically pleasing. His tussles with Jay Cutler in the past were fantastic, and he won the 2008 Mr Olympia despite being quite a bit smaller than Jay. The reality is that winning this competition may be a bit beyond him, he’s in amazing shape at the moment but if he really wants to wrestle the title away from Phil he is going to need to do something special this year, or hope that the rest of the field has a collective off day. Because it’s not just Phil that he would need to beat, but all the other big names that we are looking at today. Cedric McMillan is seen as the great aesthetic hope for the future. As the competition has swung from a focus on aesthetics to mass over the last few years more and more bodybuilders are trying to get as big as possible. While Cedric isn’t exactly small, he definitely reminds people of bodybuilders from the golden age. In fact it was Arnold himself who pointed this out, complaining after the 2015 Arnold Classic that Cedric should have placed much higher than a lot of the larger competitors. Who’s body would we rather have? He asked. He also pointed out that the focus on getting freakishly large could easily be changed, but it needs the judges to cooperate. In other words if the judges want to bring back a focus on aesthetics rather than mass they need to vote for the most aesthetically pleasing bodybuilder. Doing so will make the bodybuilding world sit up and get competitors training for aesthetics – like they did in Schwarzenegger’s day. Considering the general apathy of the public towards bodybuilding at the moment, and the new television deal that has just been struck, this could pave the way for a new champion – and Cedric McMillan could be that guy. Will Nathan De Asha win the 2017 Mr Olympia? Probably not, that’s why he’s down as a wildcard entry. But it is not inconceivable. He’s young, genetically gifted with great muscle belly size, and bone size, and what’s really held him back more than anything is bad luck. Whether it’s getting arrested for a Facebook comment (that apparently incited a riot), catching pneumonia three weeks before a show, or almost dying from a blood clot. But even in Mr Olympia upsets can happen, and young competitors have sprung up out of nowhere and beaten the much more experienced competitors. He’s only 30 years old and this is already his second Mr Olympia (he finished 12th last year). This probably won’t be his year, but Nathan is definitely one to watch! We’ve covered this earlier in the article, but historically it is very difficult to oust an incumbent Mr Olympia champion. The competition tends to favour past winners, and events such as Arnold’s win in 1980 have created quite a bit of controversy. Judging bodybuilding is a fool’s errand in some ways because it is so subjective. Five people can all look at one bodybuilder and come to completely different conclusions. As a result it is not at all surprising that a judge would favour the guy who’s just won 6 competitions in a row rather than an unknown quantity. Phil Heath is the perfect champion in a lot of ways, he’s not controversial, he poses well, is massive, but still aesthetic enough not to upset the purists, and he’s professional. Most of these factors should have no bearing on the outcome, but the reality is that they probably do. Unless the judges criteria and marking system changes dramatically this year the most likely outcome is a Phil Heath victory. If Phil is injured or unable to take part, then Shawn Roden or Big Ramy could be champion. A lot of the fans would love to see Dextor Jackson reclaim his title too. Phil Heath will be crowned 2017 Mr Olympia unless something spectacular happens, it is his title to lose and it just seems unlikely that any of the current competitors will be able to wrestle his crown away from him. That’s not to say it won’t be a great competition though, and this current crop of new bodybuilders (Ramy, De Asha, McMillan) will really start to challenge Heath over the next 2-3 years. The only chance of an upset will come through misadventure or a large change in criteria by the judges. But what an incredible upset that would be. If Ramy comes crispy, there is no way he loses unless, judges allow massive injustice and robbery. It will be fun to see how father Ramy will stand to his little kids try to outmuscle him. Olympia judges live for massive injustice. Do you remember when Franco Columbu won in 1981 with no seperation in his quads? Arnold won in 1980 was pretty suspect as well. We all know Phil will get another one. Great sport! Absolutely no surprises or plot twists. Ugh…why do I love bodybuilding? While Im glad he lost, Phil was a good champion for a good few years. Now maybe next years will be even more competitive. Its about time someone else won. I think he rode his luck for a few years. Maybe Ramy will win next year. We’ll see I guess.